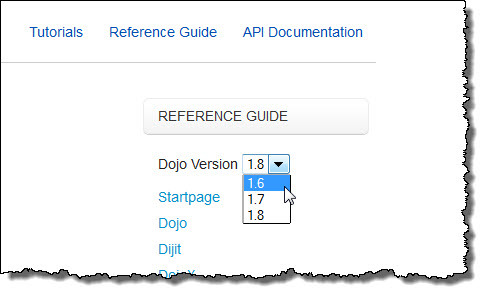 So what’s this Dojo extension all about then ? Right off the bat I loved finding this quote “The Dojo Firebug Extension started as an internal IBM initiative to help IBMers working with Dojo.”, and more importantly got me straight off on the thought of what can this do for me in my XPages? You have to download a different version based on your firebug and your firefox version….that’s kinda weird and disconcerting and they don’t have my version of firebug or firefox – but hey we truck on in hope. 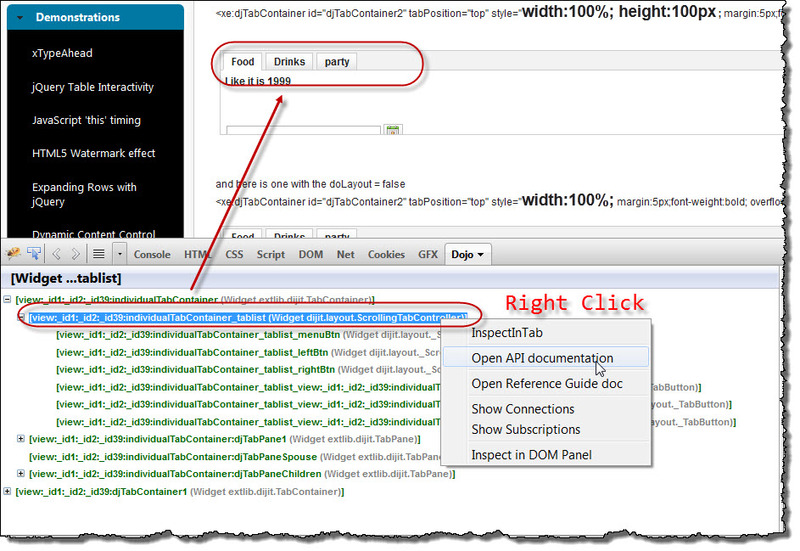 So What does it do for me as an XPages developer? 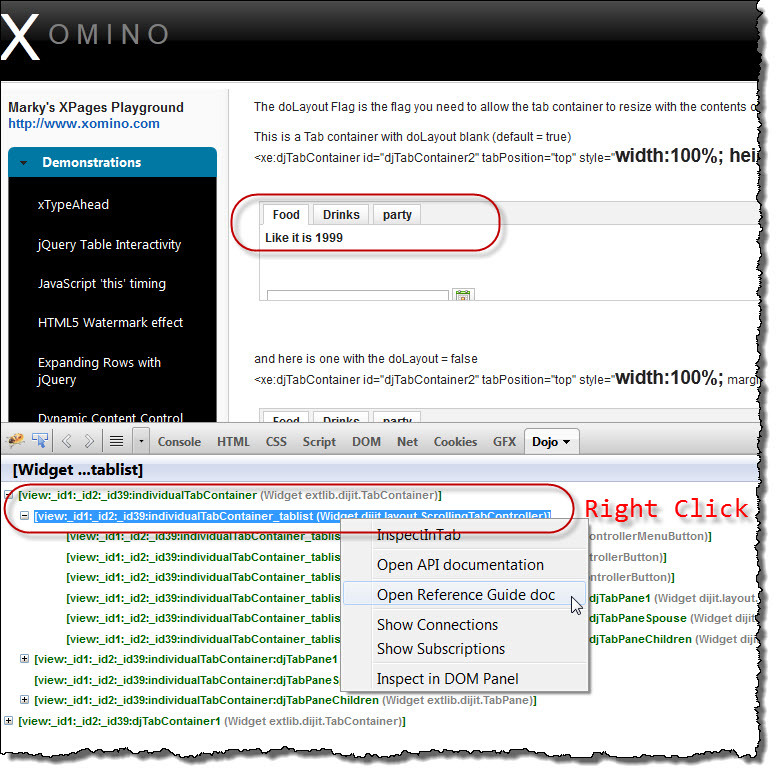 This *could be* really useful – if you can get over how useless the API documentation site is – let me paraphrase…….IF you understand how the Dojo API documentation works this *could be* fantastically helpful….. In my previous article on how I figured out how to use the Dojo Tab Container doLayout (where the screenshots come from) I was struggling to find out what I needed to make the Tab Panel heights dynamic. Would this have helped?….I was kinda bitter at this point as I figured it would have….so i soldiered on..
And I was just saying how awesome you guys were – CRAP. Well that is kinda interesting I guess..
Well I found out how to manage FireFox profiles – http://www.howtogeek.com/howto/internet/firefox/use-multiple-firefox-profiles-at-the-same-time/ which is kinda useful – so I did learn something useful from this investigation. 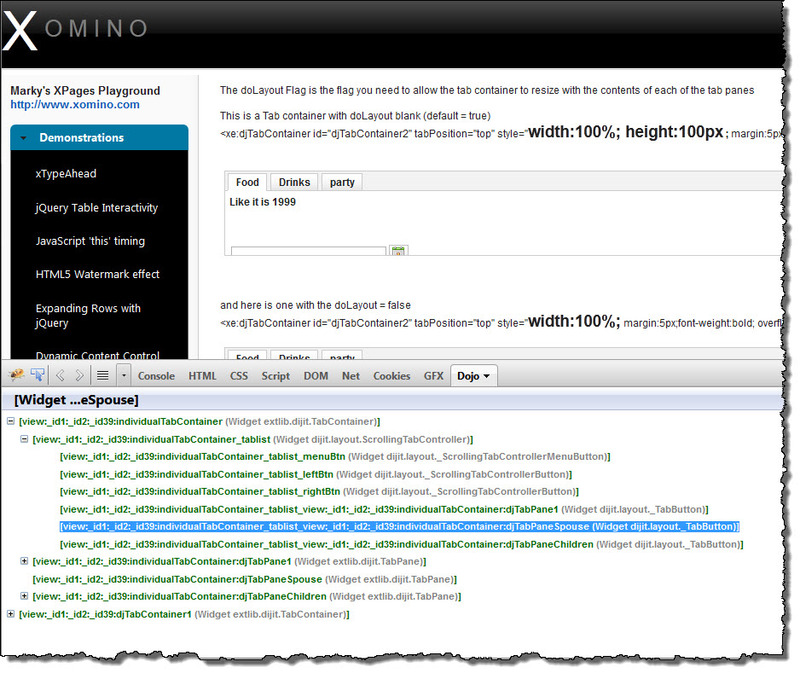 There are a number of cool Dojo debugging capabilities if you are really into writing seriously with the dijits whereby you can subscribe to the data and watch it move all over the place – kinda cool – not helpful for XPage development though. So is this really useful for an XPages developer? Hi Marky. Thanks for this post. Very informative. I really got excited in the beginning, but as I read on it turned into the usual disappointment I get when it comes to Dojo and XPages. At 1 stage I was really into Dojo and thought it was the right choice made by IBM, but I’m not so sure anymore. The only thing I take my hat off to Dojo for is partial refreshing. 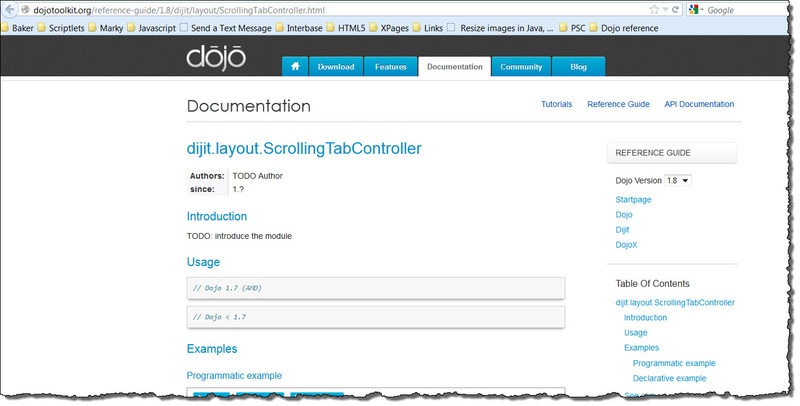 I still installed the Dojo Firebug Extension, hoping that it will help out in a few ways. Thanks again for this awesome post.